I challenge anyone to find a cleaner boat more than 10 years old. This boat has been babied. No scratches on hull, gel coat is in great condition inside and out. Single family owner, prestine condition and runs excellent. 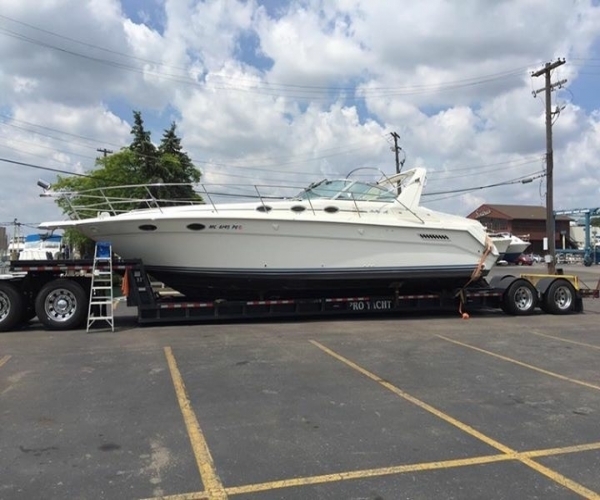 Freshwater / Great Lakes boat since new (bought from my dad and moved to Seabrook TX in July 2016). 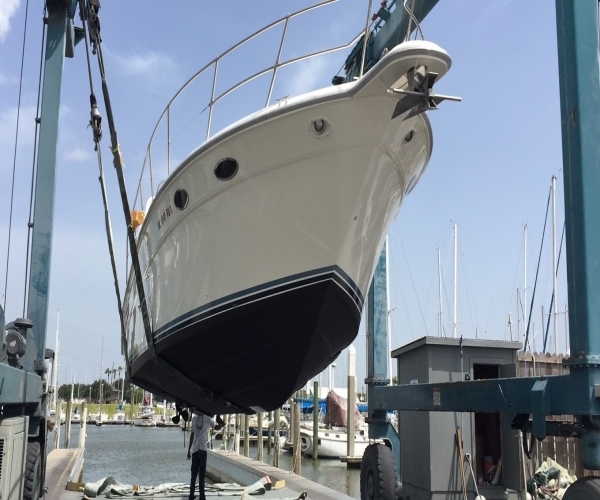 This vessel features Twin 7.4-litre 340-hp MerCruiser Gas Engine's with only 800 original hours (that's less than 40 hours per year). 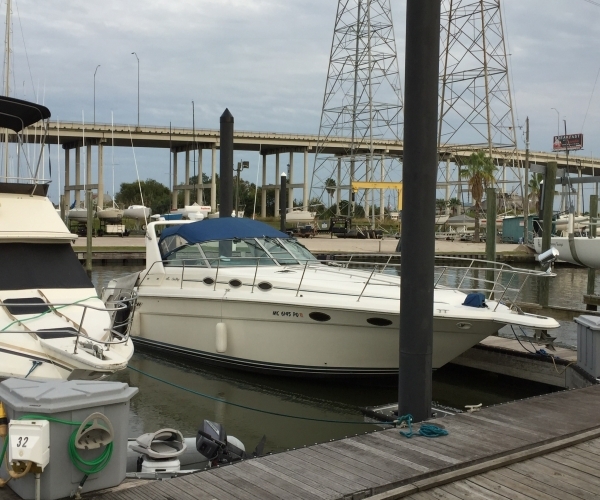 Notable features include but are not limited to the following: Air-Conditioning & Heat, Head (Vacuflush) w/Vanity/Sink/Stall-Shower, Central Vacuum System, Quicksilver 7.8kw Generator (only 80-hours), new digital battery charger, windlass Anchor. VHF radio, original Raytheon Radar, GPS and Chart Plotter, engine synchronizer gauge, compass, spotlight, TV upgraded to swivel 32", upgraded Alpine stereo with remote and CD, horn, W/S Wipers. 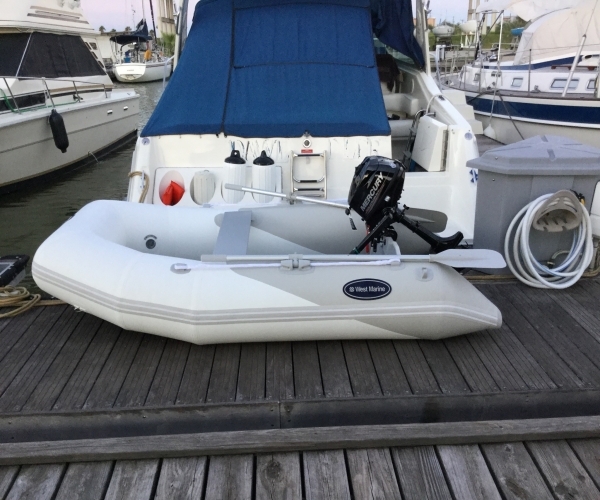 Trim Tabs, Halon Fire System, Sunbrella full cover canvas package, Freshwater Washdown, new bottom paint 7/16, (3) Windshield Wipers, Horn, Dripless Shafts, Dockside Pressure Water Connection, Remote Control Spotlight. 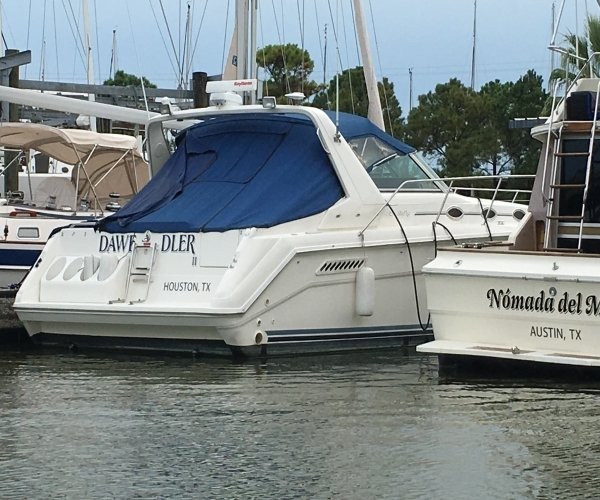 Bow Pulpit, Windlass Anchor, (4) Forward Deck Hatches w/Screens, Power Windshield Vent, Radar Arch, Snap-in Snap-out Cockpit Carpeting, Transom Door, Cockpit Wet Bar w/Sink (Storage Underneath), Swim Platform w/Boarding Ladder, Fender Storage. 250 Gallons of Fuel/Gas, 70 Gallons of Water, 20 Gallons of Waste. 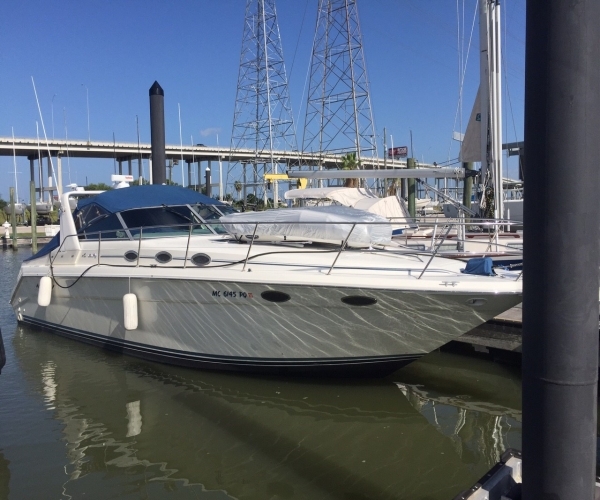 Called the 350 Express Cruiser (EC) until 1992, Sea-Ray's 370 EC is a modern family cruiser with contemporary sportboat lines and a very spacious interior layout. 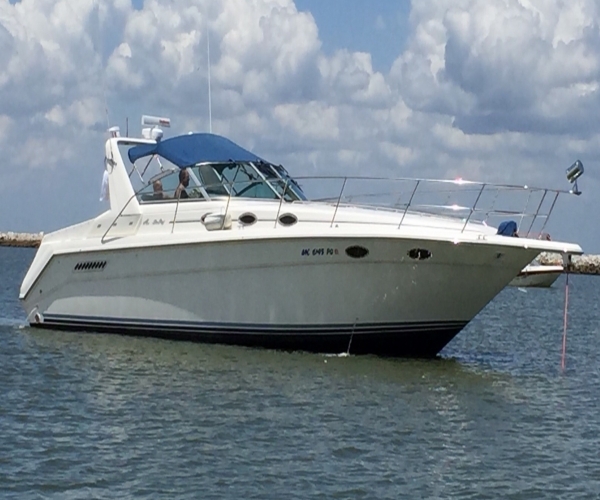 She's built on a good-running deep-V hull with a fairly wide beam, prop pockets, and side-dumping exhausts. While she has the same profile as the 370 Sundancer, the EC has a larger salon with an extended U-shaped settee and a bigger galley. There's a stall shower in the head, and a built-in TV can be pulled out and viewed from the salon to the forward cabin. 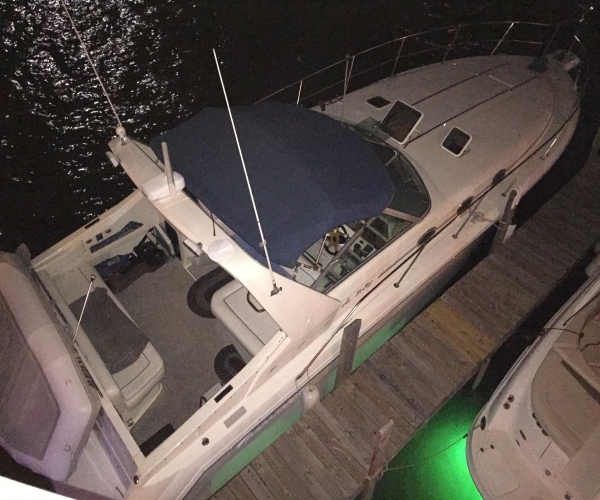 Additional features include good interior headroom throughout, an integral bow pulpit and swim platform, cockpit wet bar, side dumping exhausts, and a fold away transom seat.